We knew that some of the nation’s most impressive public schools owe their success to visionary leaders working within a nimble system that exists to support what’s happening at the school level. Until recently, this type of school has existed primarily in the charter sector. So, what if we could carve out a third way that offered the operational independence and agility of a charter network, while working alongside Denver Public Schools to ensure the schools preserve the district’s expectations for student equity and performance? 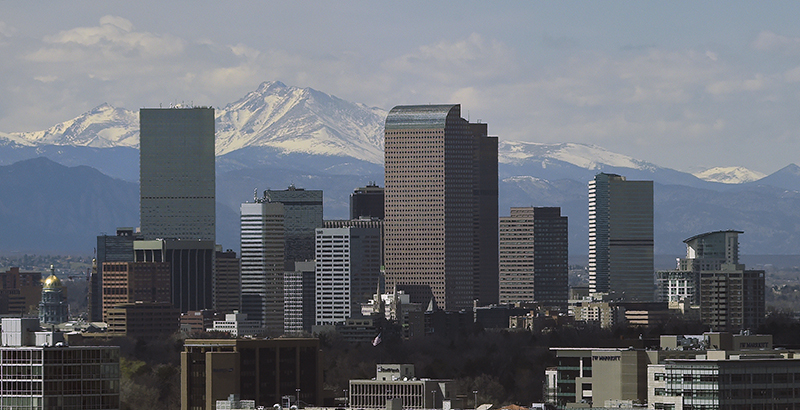 Unlike most other national examples of innovation zones, Denver’s did not originate from a top-down call for a turnaround. Though we drew lessons from Springfield, New Orleans, Memphis, and other places, Denver’s zone was driven by four courageous principals. They were already running innovation schools and had proven they could take advantage of additional autonomy to get better results for their students. But they articulated a longing to go further and faster. They believed they could accomplish this if they had control over more key decisions, and that the buy-in stemming from autonomous decision making would help sustain their efforts over time. Working together with these principals and the leadership of Denver Public Schools, we designed, launched, and are now helping to nurture Denver’s first innovation zone, the Luminary Learning Network. A new Gates Family Foundation case study tells the story of how the network came to be and how it fared in its first year of operation. Our experiences offer several valuable lessons for educators and advocates around the country who are seeking ways to innovate productively and efficiently. First, traditional districts may not be taking full advantage of the opportunity afforded by state laws enabling the creation of innovation schools and zones. Denver Public Schools deserves its reputation as one of the nation’s most creative, forward-thinking urban districts. Charter schools, innovation schools, and traditionally managed district schools are equally welcomed, as long as they have a solid educational plan, execute that plan faithfully, and achieve strong results. Despite this openness to different governance models, even DPS had not previously realized the potential power of a zone. Indeed, the process of creating a zone and granting deeper freedoms to Luminary Learning Network schools proved difficult at times for DPS leaders, especially when they perceived delegating some control as potentially shortchanging other schools or the system as a whole. Threading that needle — granting autonomy without creating systemic inequities — is vital if a zone is to spark districtwide changes to practice, and it requires compromise from all sides. Ultimately, negotiations created a compromise that both the district and network leaders felt good about and highlighted that testing enabling laws in new ways can lead to a pioneering effort that works for all involved. It’s inspiring that DPS leaders, true to their values, have committed to expand the zone concept as a tool that can empower strong school leaders to increase or broaden their impact. In November, the district released a draft “Call for New Innovation Zones” — which would be the first such “call” in the country — and have partnered with Empower Schools and Bellwether Education Partners to create a fellowship that is preparing traditional, charter, and innovation school leaders to replicate high-performing school models and potentially form new zones. A second lesson is that independent, nonprofit boards governing schools can increase public input and school accountability. It’s all about how you build the board. Far from a “private takeover” often decried by critics of nontraditionally governed schools, the Luminary Learning Network board is made up of Denver community members, network educators, one representative from the DPS school board, and one from the district’s leadership team, all of them deeply invested in the zone’s success. By bringing together diverse stakeholders and putting educators at the center, this type of board composition can garner additional buy-in and help ensure the sustainability of the network’s priorities — as long as schools are performing. Meanwhile, network schools are still ultimately accountable to the publicly elected school board, which sets the performance targets the zone must hit to win reauthorization after three years of operation. As part of the zone’s approval, network schools committed to hit a higher performance bar than the typical district schools. Network schools also are held to the same standard as all DPS schools in equitably serving English learners, students with special needs, and students who qualify for free or reduced-price lunch. Our third lesson should come as no surprise: Relationships and experience matter. One of us (Mary) is a former DPS board president who has maintained strong relationships with superintendents, board members, and district leaders for over a decade. So when negotiations got tough, both sides had a reservoir of goodwill from which to draw. The other (Brett) is co-founder of an organization with a national track record of success in helping local leaders design and launch sustainable innovation zones that empower educators. This combination created credibility for the concept and a road map to advance an idea that sounded radical at times and out of reach at others. We hope the network’s story encourages districts, educators, and innovators across the country to think more creatively about the tools they already have available to them — and the difficult but rewarding work that is required to put more decision-making authority in the hands of those educators closest to the students whom the system is intended to serve. Innovation zones, if created thoughtfully, can make a real difference for kids, teachers, and school leaders. No wonder people from across the country are coming to take a look and continuing to be inspired by the innovation happening in Denver Public Schools. Mary Seawell served as Denver Public Schools Board president from 2011–13. She is chairwoman of the Luminary Learning Network board and senior vice president for education at the Gates Family Foundation. Brett Alessi is co-founder and managing partner at Empower Schools. How the network was created and its lessons for the future will be the subject of a webinar January 30. Brett Alessi is co-founder and managing partner at Empower Schools. How the network was created and its lessons for the future will be the subject of a webinar Jan. 30.